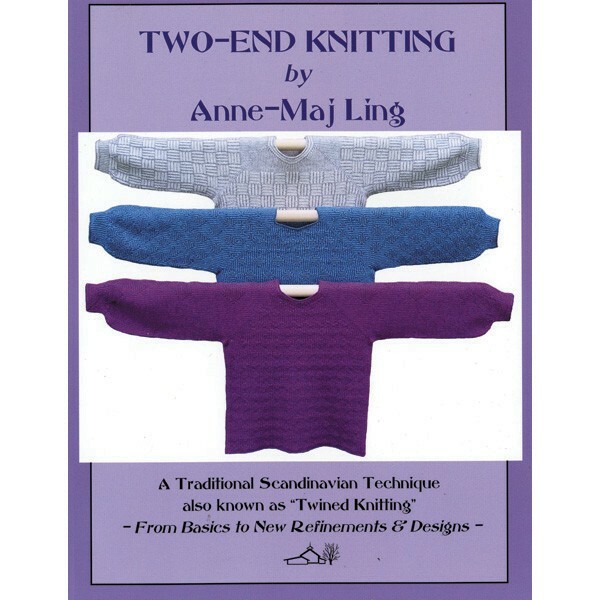 Two-End Knitting is a Traditional Scandinavian Technique also known as Twined Knitting. One of the foremost experts on the subject of Two-End Knitting introduces us to aspects of this fascinating technique from basics to new refinements that were not even hinted at previously. You will see her very beautiful designs - some of which are knitted with two-colors: sweaters and skirts as well as stunning mittens, caps and stockings. Includes a very detailed instruction section with plenty of illustrations, plus 30 full-page charts. Softcover.